Here's an original homemade red velvet cake recipe that's unique and fun to make. These rich-tasting layer cakes are famous for their delicate chocolate flavor and fluffy white-as-snow icing. But, what really sets these spectacular dessert cakes apart is their eye-catching appearance when cut — their interiors are an unexpected, blood-red color! Strangely, I could not find any mention of a homemade red velvet cake recipe while rummaging through Grandma's collection of old fashioned recipe books. Not a single one! 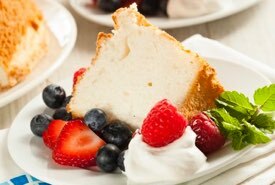 I was hoping to include some early recipes in keeping with the vintage theme of this site, since only modern cake recipes are found on most food blogs. But, I came up short. However, I did manage to find an old fashioned Philadelphia Red Cake recipe that produces a cake bearing a striking similarity to the famous red velvet cake. 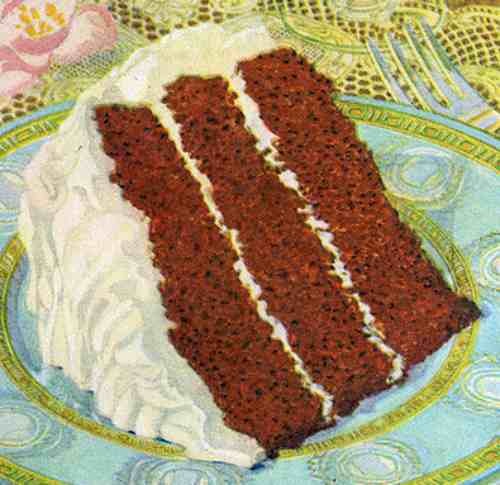 Could it be the forerunner of today's red velvet cake recipes? Try it and see. 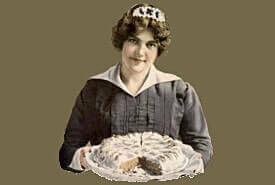 The original 1920 recipe is given below followed by my tips for adapting it to produce a traditional red velvet cake. The Philadelphia red cake recipe as given above makes a delicious cake, but if you want to adapt it to more closely resemble a homemade red velvet cake recipe, just reduce the water called for to 1/2 cup and increase the sour milk or buttermilk to 1 cup, to make a richer batter; and add 1 teaspoon white vinegar and 1 teaspoon salt to the list of ingredients. Below are some tips that will help you to create a contemporary red velvet cake. The recipe calls for sour milk. To make milk sour, simply stir in about 1 tsp of white vinegar to the milk. However, I substituted buttermilk in the recipe and the cake turned out delicious. Cream the 1-1/2 cups sugar and 1/2 cup butter. Make sure they are well creamed till the mixture is almost doughy in texture. Don't skimp on the beating as it helps to make a smoother, richer batter. It also helps if the butter is quite soft when you begin. You can substitute shortening in place of butter or use as I did, a mixture of 1/2 butter and 1/2 shortening. To the creamed sugar and butter, add the 3 beaten egg yolks, 1 cup buttermilk, then the 1-1/2 cups sifted flour and 1 tsp salt. Blend well. Note: For a richer, denser cake, use only 1/2 cup boiling water instead of the 1-1/2 cups the old recipe calls for. After you melt the 2 squares (2 oz) of chocolate in 1/2 cup boiling water, add 2 oz red food coloring and stir until the mixture is smooth and uniform in color. The original recipe doesn't give a quantity for the red coloring, but 2 oz is what most homemade red velvet cake recipes call for. It seems like a lot, but a lesser amount of coloring simply won't make the batter red enough to be distinctive. Use your own judgement. Add 1 tsp of white vinegar and 1 tsp baking soda to the melted chocolate and stir until it's well mixed. It is normal for the soda to foam. When cool, add to the cake batter. Finally, add 1 tsp vanilla and fold the 3 beaten egg whites into the batter. The batter fills two round, 8-inch cake pans. You can split the 2 cakes to make 4 layers by using a clever method my Grandma often used: Place a strong thread (or dental floss) around the circumference of the cake and while holding the ends of the thread tightly, one in each hand, gently but firmly pull them apart thereby separating the cake evenly into 2 layers. To make 3 layers, you can simply pour the batter equally into three 8-inch cake pans to bake. Bake in greased cake pans at 350ºF for about 20 to 30 minutes or just until done. Test using a wire tester or toothpick. Your cake should be done when the toothpick still has a few crumbs. Over baking will make it hard. Ice the cake with a thick layer of your favorite white icing and generously spread the same icing between each cake layer. White icing is traditionally called for in homemade red velvet cake recipes as white provides an eye-catching contrast to the deep-red cake. 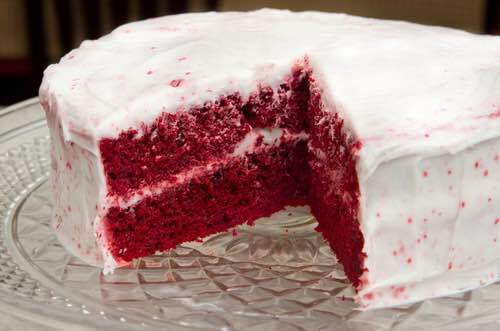 Some food historians believe that historical recipes for Devil's Food Cakes and Philadelphia Red Cakes might have inspired what we know today as homemade red velvet cake recipes. I chose several of the best old fashioned devil's food cake recipes and included them below so you can experiment and taste-test the theory. However, the distinctive deep-red color cannot be duplicated using today's baking soda and coca products, so you'll need to resort to adding red food coloring. Sift flour once, measure the correct amount, add baking powder, and salt, and sift three times. Add sugar gradually to melted butter, and cream together until light and fluffy. Add eggs. Beat mixture vigorously. Add flour and sour milk alternately, a small amount at a time. Pour the boiling water into the melted chocolate; mix quickly. Add baking soda to chocolate and stir until thick. Cool slightly before adding to cake batter. Mix thoroughly. Add vanilla. Bake in two greased 9-inch layer pans in moderate oven (350°F) for 25 minutes. To make three 10-inch layers, double the recipe. Put favorite white frosting between layers and top and sides of cake. 1 cup butter; 3 cups sugar; 4 eggs (whole); 1 cup sour milk; 1 cup cocoa, 1 cup hot water; 4 cups flour; 1 teaspoon soda. Pour hot water over cocoa and soda and stir in last of all. Be careful that water is boiling. Flavor with vanilla. 1 cup sour cream; 1-1/2 cups sugar; 2 eggs; one-third cup hot water; flour; 1 teaspoon soda; 3 tablespoons cocoa; 1 teaspoon vanilla. Combine egg white, sugar, salt, water, and corn syrup in top of double boiler. Beat about 1 minute, or until blended. Cook over rapidly boiling water, beating constantly for about 4 minutes, or until frosting will stand in stiff peaks. Remove from boiling water. Add Vanilla flavoring and beat for 1 minute, or until frosting is thick enough to spread on cake. The history of red velvet cakes remains unknown, but this unusual cake has long been a favorite in the American South. A popular urban legend links its origin to New York's famous Waldorf-Astoria Hotel, but it cannot be substantiated, and the hotel persistently denies the alleged connection. Some food historians think these cakes might have originated as a devil's food cake. 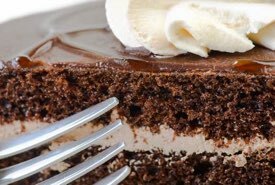 Chocolate devil's food cakes became very popular in the early 1900s, and it's said that a chemical reaction between the old-style baking sodas and processed coca powders sometimes gave the cake batter a distinctively reddish tinge. Apparently, some cooks enhanced and encouraged this phenomenon by adding a generous amount of cochineal (red) food coloring. Enjoy experimenting with the historic recipes that might have inspired the modern homemade red velvet cake recipes. One thing that IS known, everybody loves these chocolatey red dessert cakes. They're most popular for serving on special occasions such as birthdays and anniversaries.